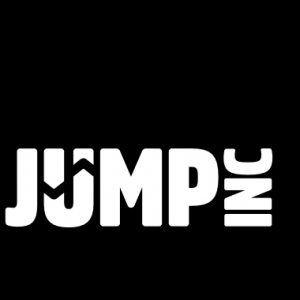 We are delighted to announce a new collaboration with the Inflatable and trampoline park operators Jump Inc. Jump Incs trampoline park in Sheffield is situated across from Meadowhall Shopping Centre and their inflatable theme park is based in Parkgate Retail Park, Rotherham. Please see below information on the new partnership with the League. Any ref registered under SDJSFL can get 25% off their own and their family members jumps. Terms: Capped at 4 people. Walk in only, must show i.d badge to receive discount. Jump Inc will reward all birthday boys and girls registered with the league with a free open jump and slush redeemable at either Sheffield or Rotherham. The gift will be attached to the birthday emails distributed by the league. *Terms: Free jump only when they bring another friend paying full price. Valid for 1 month from email date. Show email on arrival. Jump Inc will present the award of ‘Respect Winners’ for each age group, and reward them with a free team party at the annual presentations at Barnsley Metrodome. Prize – Free Party package at Jump INC for team registered players only. • One hour on the springs / inflatables! • Delicious party food* including; ham sandwiches, cheese sandwiches, pepperoni and margherita pizzas, crisps and ice cream for afters! Terms: Registered players only. Any additional friends or family must be paid for. Grip socks not included, cost £2 per person jumping.